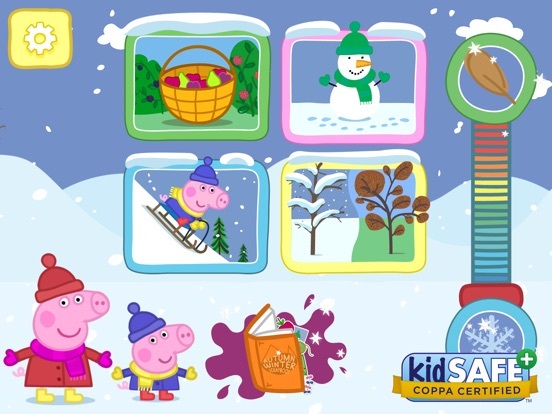 Peppa's Seasons: Autumn & Winter takes players on a journey through Peppa's world to explore the differences between the seasons using fun, interactive games. Great for families and children of all ages. 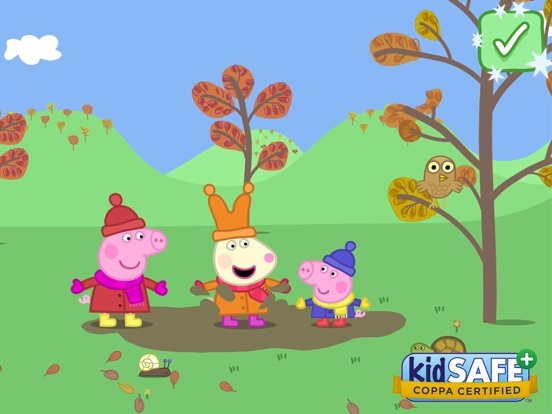 Peppa’s Seasons: Autumn & Winter is an entertaining and educational app that takes children into Peppa’s world as they learn about the changes that occur during Autumn & Winter. 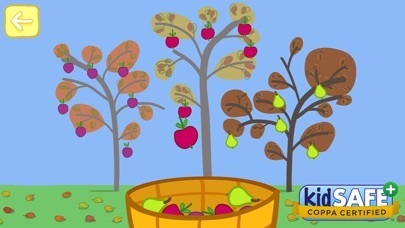 With various activities and animations to explore, this app will keep children engaged as they learn a bit about the seasons. 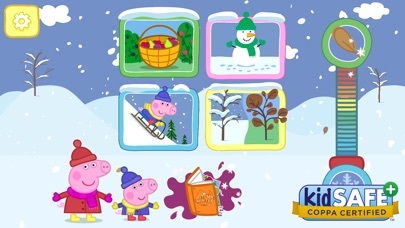 With an interface that is similar to what you might see in the show, Peppa’s Seasons: Autumn & Winter is one app that is quite visually appealing. The user interface is also quite easy to use as it only requires children to tap, touch, and drag their way through each of the four activities. There is also a bit of a story feel to the app with a narrator and a bit of animation that helps tie the app together which is great for keeping children engaged. 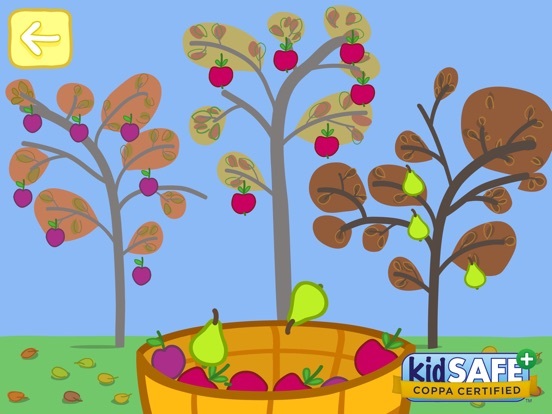 While this isn’t your traditional educational app, the developers have included a bit of experiential learning through some of the activities to teach children a bit about the differences between autumn and winter. For example, there is a temperature scale that children can explore that when moved, changes the main page setting to show snow or falling leaves. Players are also exposed to various hobbies and activities that you can enjoy within each season like fruit picking and tobogganing. With four activities to enjoy, this app offers lots of engaging and entertaining material for children to explore. The four activities include fruit picking, snowman building, a toboggan race, and seasonal exploration. Once each activity is completed, players are rewarded with a sticker for their scrapbook. 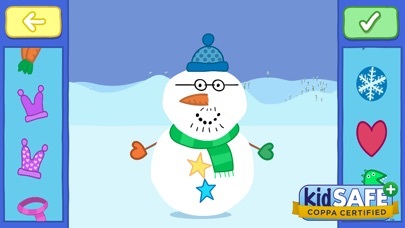 Overall, this app provides lots of entertainment for children and families to enjoy. Priced at just under three dollars, this app is a great deal. Parents will not only appreciate the four interactive activities and the professional illustrations, but also the fact that it allows families to have up to four separate player profiles. This is particularly helpful for families with multiple children. 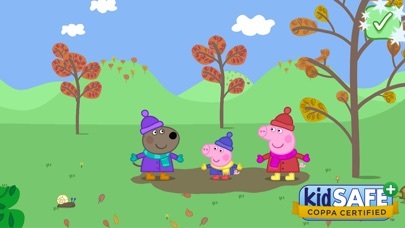 Peppa’s Seasons: Autumn & Winter offers great fun and a great value. 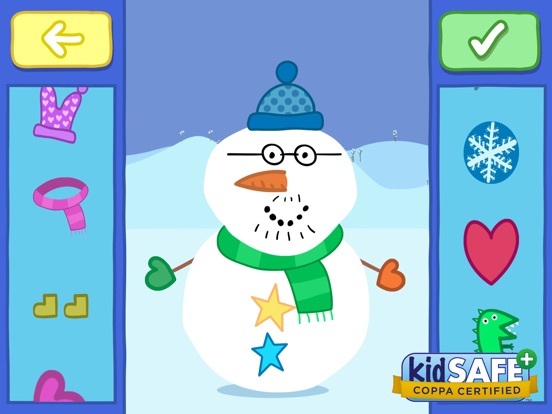 Overall the developers have done a nice job keeping the app safe and easy to use for children of all ages. With simple tap and drag functioning to move through the app, little ones will have no problem enjoying all that this app has to offer. The parent only gateways are also appropriately protected to keep children safe which is great.